Communities One Relationship at a Time” and the keynote speaker is Roy Juarez, Jr., author of Homeless by Choice. Juarez will share his personal story of growing up as a homeless teenager. He first became homeless at the age of 14 along with his 9-year-old sister and 2-year-old brother due to domestic violence. Juarez was able to leave the streets only to return to them as an activist after graduating from Hardin Simmons University in 2009. Juarez recently released his first published memoir, Homeless by Choice. The book is about his journey and the mentors that have made a difference in his life. The book is designed as a teaching tool for students, parents and educators to help continue to communicate Roy's message of hope and inspiration. At the Summit, he will share his personal message of hope, perseverance, forgiveness and the value of a higher education. Cecilia Abbott, Texas First Lady and Bill Taylor of KENS 5 San Antonio are special guests at the TMS awards luncheon. Governor Gregg Abbott highlighted the importance of mentoring in an official proclamation signed last month, December 2018. In this proclamation, Governor Abbott encouraged people to take an active role in mentoring in the hopes to decrease delinquencies and increase the strength of our communities. “National Mentoring Month is the perfect time to bring together mentoring champions from across the state of Texas to share best practices and recognize their impact in building stronger communities one mentoring relationship at a time.” stated Belinda Harmon, senior director of community outreach at the UTSA Institute for P-20 Initiatives. The Institute for P-20 Initiatives at the University of Texas at San Antonio provides the required leadership necessary to enable pre-K through 20 students to develop and complete their educational goals through collaborative partnerships with K-12 and postsecondary institutions as well as those within the greater San Antonio community. Learn more about the Texas Mentoring Summit 2019. 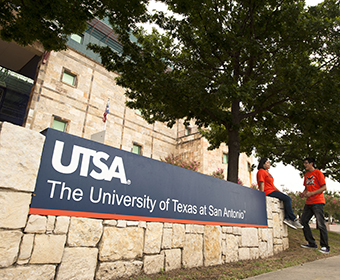 Learn more about the UTSA Institute for P-20 Initiatives.